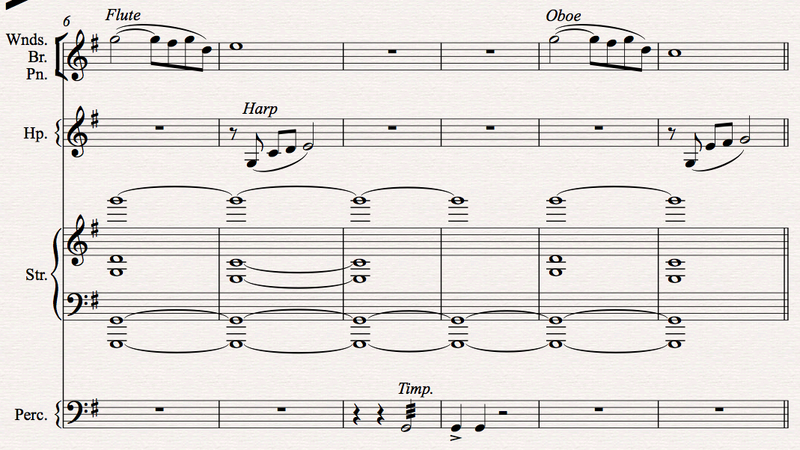 The opening solo horn sets the tone: a degree of solemn respect for what is being undertaken. We are telling the story of the universe here. The strings enter, as if dawn breaking, and the unpretentious flute line with harp provide a warm affection for our little “cosmic address,” as Neil DeGrasse Tyson likes to say. The 2-measure Eb-maj section comes out of nowhere, and for me, feels a bit jerky. Eb-maj on the way from E-min to G-maj? It’s a nice-enough themelet, but very much an unrelated fragment. Its most important function here is to provide contrast and set apart the “worried mezzo-forte” from the “magical teeny-tiny” part that comes next. The subject matter of Cosmos goes back and forth between the “very big” and the “very small” – from galaxies to molecules. 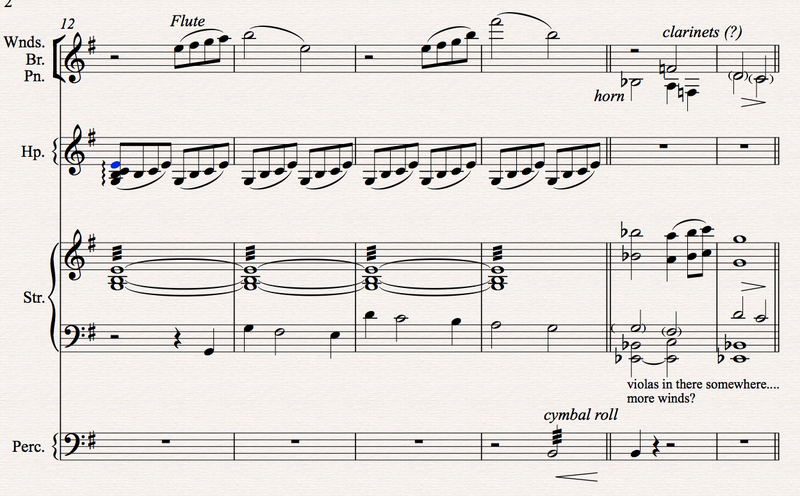 For me, this section of the music is about tiny, fragile, surprising LIFE. The moment I heard it, I thought: “DNA” – recombining, reaching, evolving. 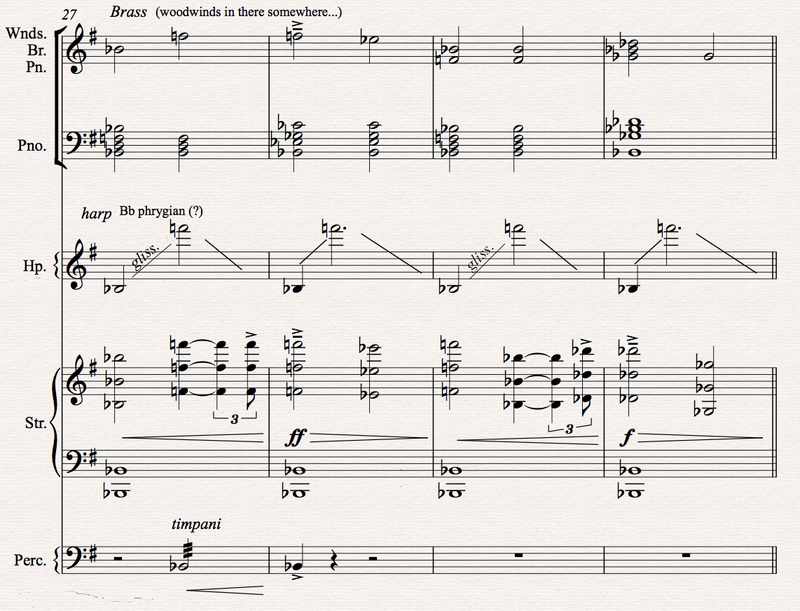 The next section evokes the terrifying grandeur of cosmic-scale birth and death, as the Bb-maj chord crescendoes into the dissonant bII chord — B-maj / Bb, with (#4) in the melody. The second swell goes to the more ominous bVI, Gb-maj / Bb, which serves as a surprisingly gentle (in retrospect) pivot chord to the concluding B-maj. The harmonic move from Bb-maj to Gb-maj/Bb is essentially the same as the “DNA” section move from G-maj to Eb-maj/G. The main title visuals are full of parallels between human scale and cosmic scale (the most iconic example is the nebula turning into the iris); Silvestri finds clever ways to communicate the same parallelism in his music. And at last, a nice, shimmering string chord, as if to say: The history of the universe has been frightening, destructive, merciless… and yet it bore us, comically delicate, yet alive and wonderful! And, that’s a wrap! Let me know if you found this helpful. If anyone can supplement or correct the transcription, I’d love to see it. I’ve got some question marks in there. Hey Mikey, thanks for reading. 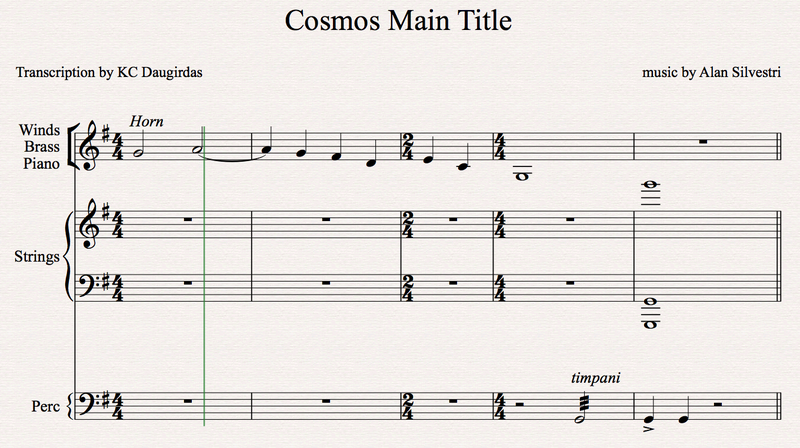 You’re right – that opening piano theme from Cider House is strikingly similar to the opening flute melody in Cosmos. I would argue that the rest of the Cosmos theme diverges from that point though. Probably derived from (or inspired by, let’s say) something else :). Great transcription. I just love this piece. I’ve been looking everywhere for a transcription. Thanks for posting. I’ve come to your page trying to find out who the hornplayer would have been for the opening credits. Any idea? I suspected as much. The LA session horns have become very fine indeed. I hope whoever recorded for Cosmos went home that day thinking “I did good work today”.